You are here: Home / Blog / Family Movie Fun! Over the last month our local cinemas have been playing some of my favourite Disney movies and I jumped on this opportunity to take my girls (2 and 4) to their first movie. We chose the Lion King and had a lovely day out. I remember seeing this at the movies when it first came out and was a little nostalgic taking them to see it. It was their very first cinema experience too which made it all a little bit special! Now I won’t lie and say that taking two young children to the movies is a breeze, but we did have fun. I will confess that my 2 year old slept through at least half of the movie, and I’m fairly sure my 4 year old was more excited about the popcorn, but nevertheless, they both can’t stop talking about the movie now. I have now watched The Lion King more times than I ever wished too. It’s almost on track to take over from Frozen as the most watched movie in our house! We’ve also begun watching some of the other classic Disney movies and it’s making a nice change from the usual children’s shows we watch. There are numerous versions of both of these movies easily available at your local book store or library. I’m a huge fan of reading to young children, and it’s nice to discuss some of the differences between the book and the movie. Visit Pinterest and you’ll be overwhelmed by the amount of craft activities available for Disney movies, frozen in particular. We have made a lion mask and frozen snowflakes. We have a princess dress up box which has been getting a great workout lately. Frozen dresses are available in most department stores, but any princess dress will work. We’ve also added our lion masks to the dress up box and have had several fun pretend zoo adventures. An old towel makes a great magic carpet if your kids love Aladdin! If you shop at Woolworths, your kids will love the new range of collectible Disney cards, featuring The Lion King, Frozen, Aladdin, Beauty and the Beast, The Jungle Book, Snow White and the Seven Dwarfs and Mickey Mouse. We have collected a lot of the previous Woolworths cards, but these cards are the most popular in our house. 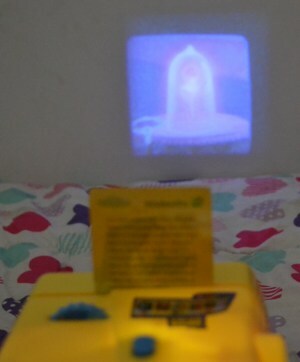 You receive 1 packet (containing a card with 4 projectable frames featuring Disney scenes and a Disney sticker) for every $20 you spend, and you can purchase a projector to view them in for only $8. These projectors are like the toy ones that I used to have as a kid so it has been great to see my kids enjoying the same toy. I have a sticker chart for my girls and for their last reward I bought them the collector’s album, which came with a free Disney e-book ($5) and the collector’s Tin ($3). There are 42 cards to collect and they are always excited to find out what new scenes and stickers we have received. 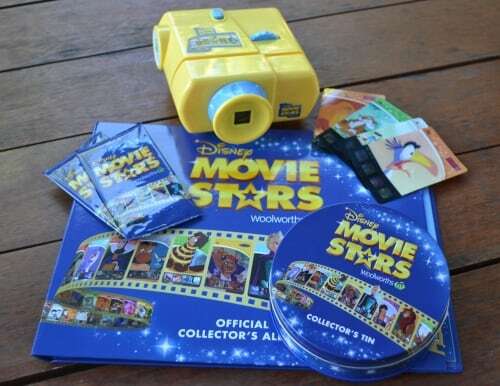 If you would like to find out more about the Woolworths Disney Movie Stars Collectible Cards, you can visit the Woolworths Website, or watch this short video on YouTube. Spend $20 at Woolworths to receive your first card. We are currently watching Disney / Pixar animated movies, in order. We have been doing this for a good 15 months now and we are currently on Toy Story 1. My boys are a bit older, but we are pretty Disney crazy and we all enjoy them greatly! What a great age to introduce them to Disney. I just brought my daughter to the movie Zootopia a few days ago and she loved it. My kids would love these. There are no longer any Woolworth’s around here anymore, but I will definitely look online! I still love to colour in as an adult, with the stress books! Such fun todo and a great time passer. Some great activities here to do as a family! This is such a helpful guide for parents! The movie activities are such a great tie-in to connect to the movie! And makes it even more fun for the children! At the Dollhouse we hope one day to be Mommy’s and all your posts are so helpful. Personally would probably go with coloring and dress-up! My kids would absolutely love those collector cards! They look like an absolute blast! We love movie night! I loved the Lion King when it came out. Still do. These are some great ideas to do with the kids! Lion King was my favorite. My son is 17 now and he watched it everyday. 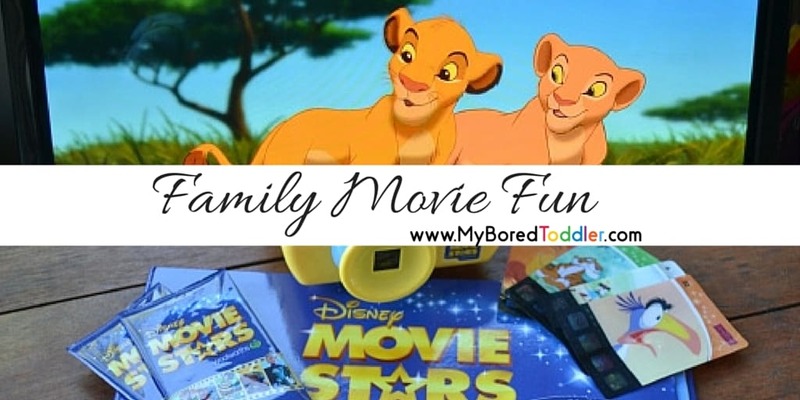 A very interesting activity which kids will love to do.These activity make a good famly bonding, and keep the excitment of kids favourite movies continue. My kids and I were just talking about Lion King last week. It’s a family favorite. Love that this post is about more than just watching a movie. It’s great when kids can do more than just veg out. Great idea. These are all great ideas, I love to color and I dont even have kids! Projectors are so much fun and work great for outdoor movie nights as well! 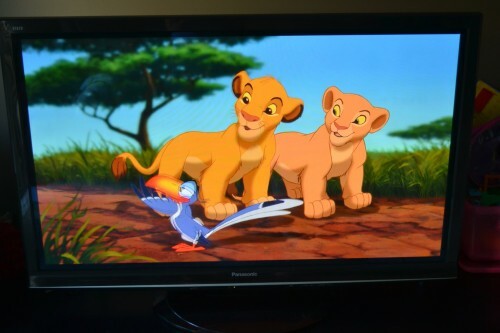 The Lion King is a classic and my husband loves it and can’t wait to get our kids into it! That’s neat that your local cinemas are showing those. Ours don’t usually do that! How fun !!! We have a movie night to but nothing this awesome I am definitely gonna use some of your ideas and spice mine up love it ! What a fantastic guide. As for The Lion King it is my favourite Disney film full stop. It is also my favourite musical too. I don’t have kids yet but these are really good ideas! I color in adult coloring books all the time. I have Disney coloring books myself. I love to color as an adult. I need to watch Lion King again, too. It’s so fun to take kids to their first movie! We have one of those little projectors, but it’s for the Cars movie … it was a gift from my sister to my son. I had no idea there were other movies that we could add into the projector. My son loves it, so this will be fun to hunt down. Omg woolworths!!! I haven’t heard that name since I was a kid!!!!! My daughter would love this though. Definitely going to look more into them. The Lion King is one of my favorite Disney movies. It’s a great movie for little kids and their parents.